Send one of our adorable Plush Care Packages! 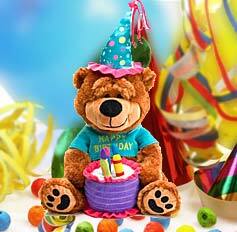 Plush birthday bears, singing plush animals and some even move to the music! (APO, FPO, DPO), (AA, AE, AP).